Is there more crime in the U.S. than there was a year ago, or less? 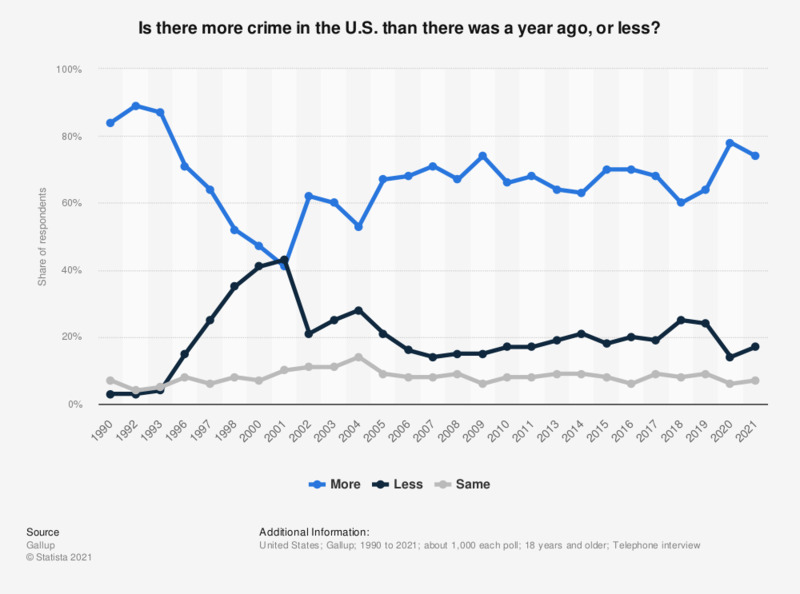 The statistic shows the public perception of the development of crime in the United States. In 2018, about 60 percent of the Americans felt there is more crime now in the U.S. than there was a year ago. Missing percentage points to 100 percent are referring to respondents who had no opinion on that topic. Everything On "Crime in the United States" in One Document: Edited and Divided into Handy Chapters. Including Detailed References. Statistics on "Crime in the United States"